The candidate pool for New Hampshire governor has gotten a little more crowded. In Portsmouth, former Mayor Steve Marchand, a Democrat, says his priority if elected is "battling the heroin and opiate epidemic." He tells the Portsmouth Herald he's calling a continuum of services that address addiction through post-treatment. Marchand joins Democrats Colin Van Ostern, an executive councilor, and Mark Connolly, a businessman and former director of New Hampshire's Bureau of Securities Regulation. Republican State Sen. Jeanie Forrester of Meredith says she's running to champion the state's small communities and businesses. She's chairwoman of the Senate Finance Committee. She joins Manchester Mayor Ted Gatsas, Newfields Executive Councilor Chris Sununu and Wilton state Rep. Frank Edleblut in the Republican race. Democratic Gov. 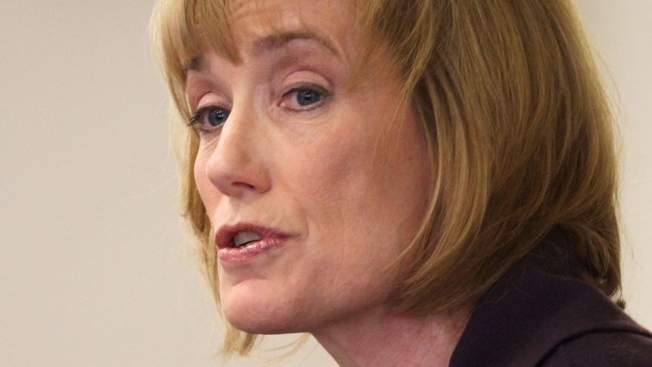 Maggie Hassan is battling for Republican Kelly Ayotte's U.S. Senate seat.